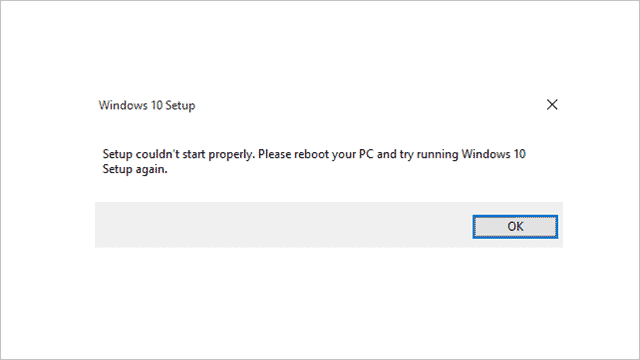 One of the most common errors Windows 10 users are seeing is “Setup Couldn’t Start Properly” when trying to run the installer. Whether you downloaded the installer because you were prompted to or because you were manually installing Windows 10, there are a variety of reasons why this error could be happening. This is frustrating users across the board and Microsoft has yet to hot fix the issue with the installer. Let’s look at how to fix the “Setup Couldn’t Start Properly” error when trying to install Windows 10. Why Does the “Setup Couldn’t Start Properly” Error Happen? Typically, the “Setup Couldn’t Start Properly” error occurs because a previous version or partial download of Windows 10 system files are somewhere on your system. If you try to manually install Windows 10 and reserved your copy of it, you may have already seen this error on your system. For others, this error occurs when you download the wrong version of Windows 10 (32-bit versus 64-bit.) In some cases, this error occurs because the installer itself didn’t download correctly. In other cases, the error just occurs. There’s such a wide range of reasons why this could be occurring, it’s probably the reason why Microsoft hasn’t hot fixed it, yet. They probably don’t even know the real reason behind it. The first way to try and fix this error is to exit the installer, close down all programs and apps, then restart your computer. You have about a ten percent chance for this to clear out the error and install Windows 10 properly. If that doesn’t work, and most likely won’t, you’ll need to dig deeper. Now, delete the installer and empty your Recycle Bin. 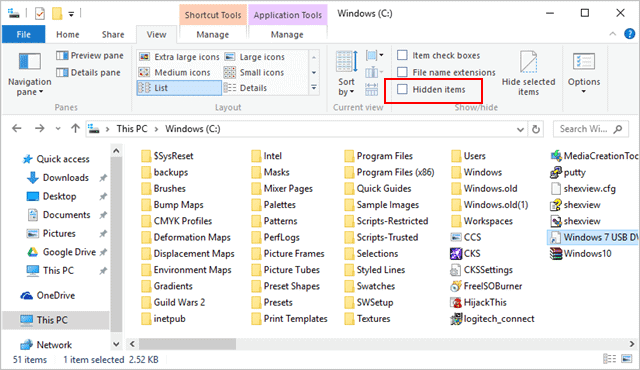 Once restarted, open your C:/ folder and enable hidden files and folders to be seen. 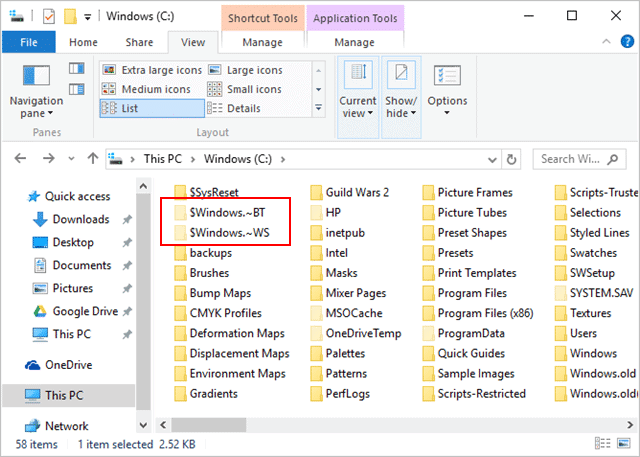 This will help you locate any leftover installation files from reserving Windows 10 or that any previous installations have left behind that are conflicting with the Windows 10 installer. Delete both of these folders. There’s nothing in them you need, and they won’t cause any issues to your system by being deleted, even if you opt now to install Windows 10. After the restart, download the Windows 10 installer again and begin the installation process. You should find with these above steps that your Windows 10 install works just fine and you won’t see the error. Warning: Some users have seen the error again after the above steps. Repeat the steps again and see if it works. Some have reported success by doing this multiple times. Until Microsoft hot fixes this issue, and they may never, you just have to troubleshoot until it works. While the steps above should help, if you continue to run into issues, we recommend contacting Microsoft support for additional help specific to your PC system.